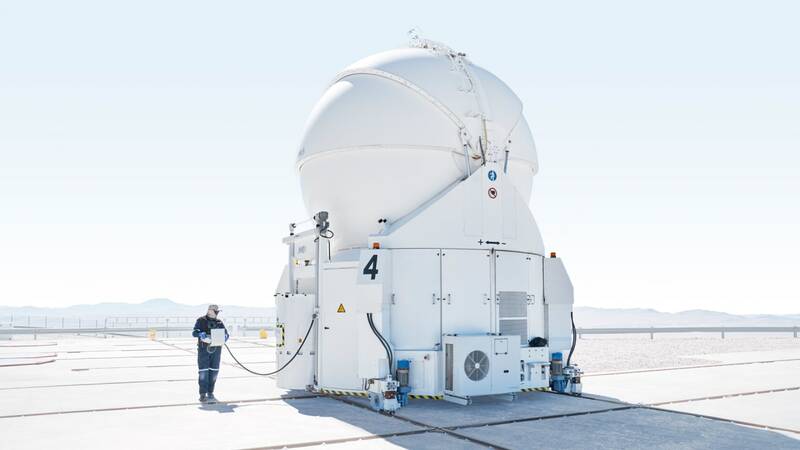 A tour of the massive desert telescopes discovering exoplanets « Adafruit Industries – Makers, hackers, artists, designers and engineers! The Atacama Desert is the driest desert in the world, a barren, 41,000-square-mile landscape made of stone, salt lakes, sand, and lava distributed along a 600-mile-long strip on Chile’s Pacific Coast. 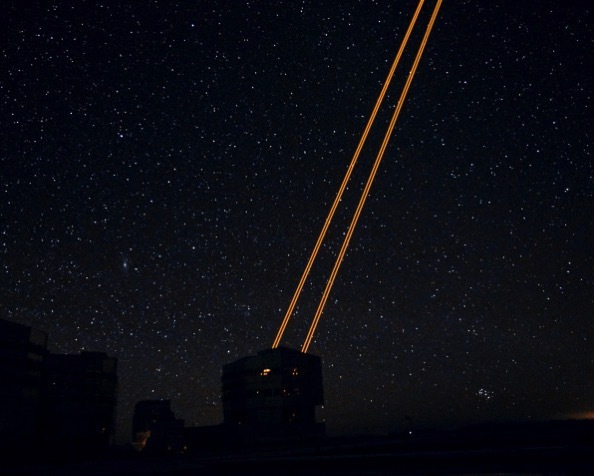 The desert’s most arid point, on its northern end, is home to Earth’s clearest night skies–and as a result, the amazing Paranal Observatory, the most powerful eye in Earth’s southern hemisphere. Paranal was recently captured in all its glory by Benedict Redgrove, the London-based photographer who is known for gorgeous commercial work. However, Redgrove says he always wanted to photograph Atacama and its telescopes, including the Very Large Telescope, or VLT, at Cerro Paranal. The VLT is a massive composition of four 320-inch telescopes that work together to survey the sky in visible and infrared lights to capture images like the first photo of an exoplanet. Only the Hubble Space Telescope produces more scientific papers–just this week, astronomers published yet another groundbreaking image captured by the VLT: the first image of a newborn planet, which was published today. The process of planning Redgrove’s shoot, which he managed to pull off by working with the production company Luxy Images, turned out to be nearly as challenging as hunting for exoplanets. He knew the Atacama landscape was extremely aggressive towards any kind of life, for starters. And secondly, he wouldn’t have much time to photograph the telescopes’ guts, since astronomers keep them so busy probing the skies. He went through a long research process before the trip, speaking to scientists and technicians about the facilities and their schedules. He and his crew planned an intricate choreography of shoots, including “where we could be during daylight and evening hours, then timetable it so we moved from telescope to telescope and base to mountaintop.” The resulting images capture the desert, and the telescopes and scientists themselves, with clarity and sharpness that reflects the work they do.